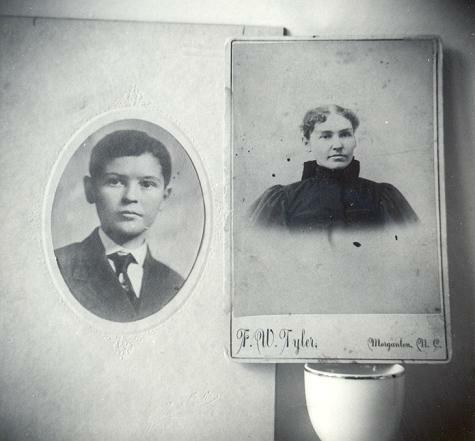 Photo of two portraits: John Leith in 1907, and his mother Jennie Clontz in 1884. 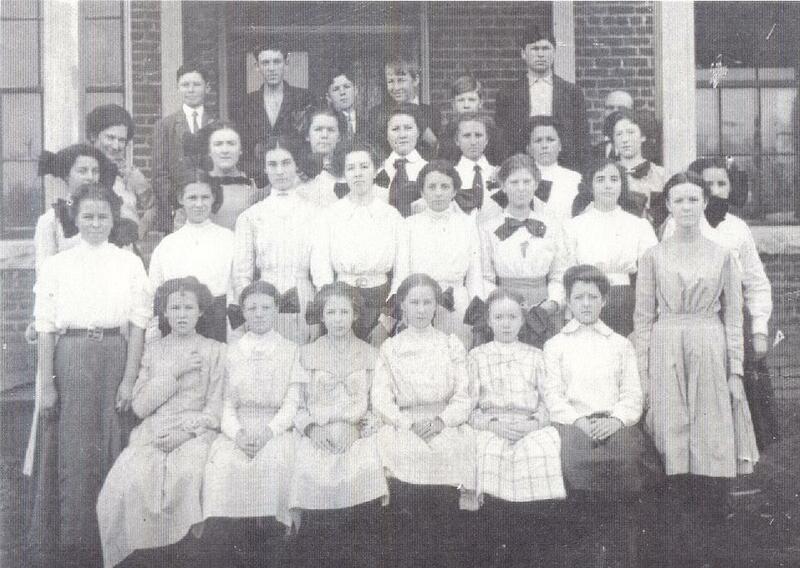 Photograph of Seventh Grade at Morganton NC Middle School in 1910. John Leith Sr. was a veteran of World War I. He Enlisted in the U.S. Army on Jun 26, 1916 at Lincolnton NC and served in Cavalry, Signal Corps, and Quartermaster Corps at Fort Bliss, El Paso, TX. He was honorably discharged with rank of Sgt. 1st class at Camp Sevier, Greenville SC on Feb. 22, 1919. 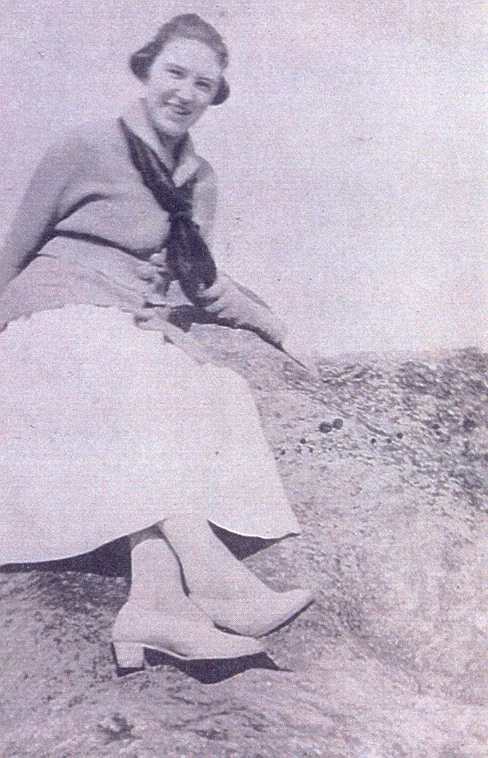 Rose Gertrude Martin at the Blowing Rock in the Blue Ridge Mountains in 1918. 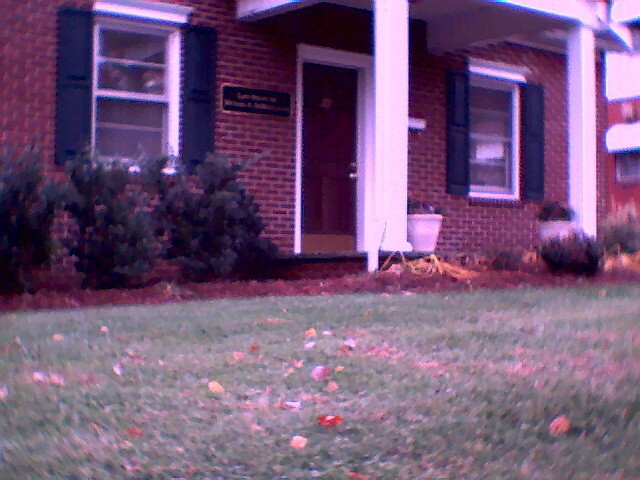 Son John Leith Jr. was born at Home in Hickory NC , where the family lived at the time, a "bungalow" at 1417 13th Avenue. The street became 3rd Avenue and the house is now a law office. Leith and Rose Holloway lived in many places, too many to mention, but including Alexandria VA, Washington DC, Mount Airy NC, and Asheville NC. Leith held different jobs for the government and small companies, primarily as an accountant. Agencies that he worked for include RFC (Reconstruction Finance Corp.), FAA (Aviation), and FHA (Housing). John Leith is buried in Forest Hill Cemetery in Morganton NC. Charlotte News, obituary, Dec 4, 1975. Holloway, Lisabeth M, "JOHN LEITH HOLLOWAY - SR., 1895-1975", biography, computer disk text file.